Mental illness is taboo, still. Perhaps nowhere more so than in our workplaces. Mental Health Discrimination is not yet a thing of the past. 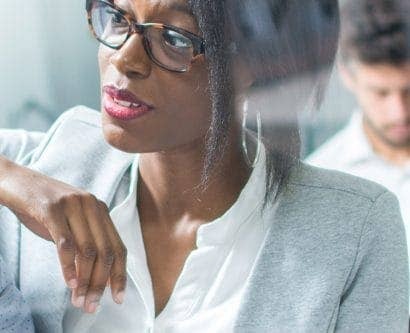 In the working world, the employee who can do it all, who takes no breaks, who is never stressed, who stays late and comes in early is heralded as the ideal employee. This is so unrealistic for the majority of people, though, and it shouldn’t be something to aspire to. There are many reasons, all legitimate, that prevent people from devoting their life to work. And these reasons whether family, social life, hobbies or mental health issues should never be demonised. There’s a lot being done by passionate people to raise awareness and eliminate the stigma that persists. Yet, we still have a long way to go to end mental health stigma. And, too many people continue to encounter discrimination at work because of mental health issues. You have rights, and regardless of stigma, there are things you can do. The following guide tells you what to do if you suspect you’re being discriminated against. You’re protected by the Equality Act 2010. If you’ve never heard of it, this Act is in place to prevent discrimination and remove the barriers that prevent equal access to work and opportunities. This Act has nine “protected characteristics” that cannot be discriminated against. 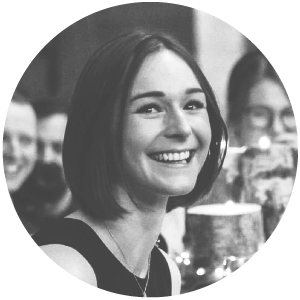 Mental health is classified as a disability and protected characteristic when it impacts the way you live your daily life and affects how you can carry out your job. 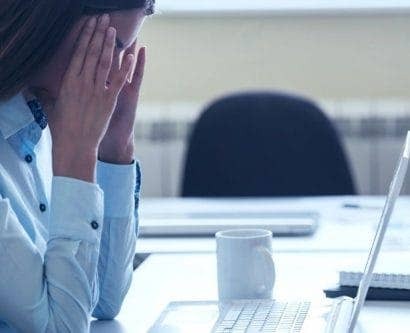 If your employer treats you less favourably than others because of your mental health, they could be breaking the law. Your employers are also required to make reasonable adjustments to accommodate the needs of your disability. In other words, you have the right to ask for changes. And, if they’re reasonable, you have the right to have them implemented. Reasonable adjustments could be for illnesses such as schizophrenia, depression, bipolar disorder or anxiety. When you ask for a reasonable adjustment, make sure you are clear and specific about what you need. What’s a reasonable mental health adjustment? Gradual return to work periods for those who have been off after periods of sickness. Periods of working at home where feasible. Allowing someone who finds it extremely difficult to work in a noisy open plan office, a quiet space to work. Offering part-time positions and job shares where practical. Allowing someone to take ten minutes when they are feeling anxious to handle their anxiety. Allowing a manager who finds large meetings difficult time to recoup after multiple or stressful meetings. Allowing someone time off to attend appointments and letting them make up the time at another point. What makes an adjustment reasonable? Overcomes the disadvantages of an employee. Is feasible in terms of financial costs and other disruptions. Is something that the employee agrees with. There are a few different types of discrimination, all of which are actionable in a civil court. Direct discrimination is the overt prejudicial treatment because of a protected characteristic, for instance; this could be being denied an opportunity whilst others are not because of your mental health. In some circumstances, failure to make reasonable adjustments can also be a form discrimination. Indirect discrimination happens when rules that apply to everyone inadvertently disadvantage you; in other words, they put you at a disadvantage because of your mental health. However, with this type of discrimination if some rules and arrangements are “justifiable”, they could be judged as lawful. Harassment is when someone is persecuted because of a protected characteristic. Harassment is defined as conduct that violates dignity or produces an unpleasant environment such as an employer knowingly making offensive comments about mental health problems within your earshot. Victimisation is the mistreatment of a person that results from them making a complaint about discrimination or harassment. 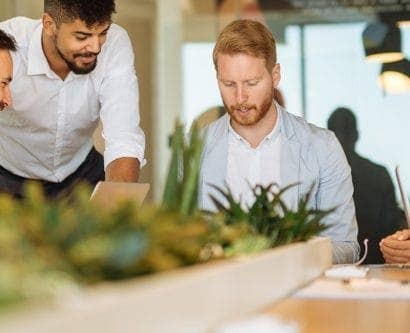 Discrimination by association – workplace discrimination against someone because of their relationship with a protected individual is known as ‘discrimination by association’. In the ‘Coleman v Attridge Law’ case in 2008, a mother successfully claimed suit for associated discrimination. She had a disabled child and required flexible working hours. However, she was unlawfully dismissed and refused the same flexible hours as parents whose children were not disabled. This was discrimination by association in the workplace. If you decide to take action against unlawful discrimination, you’ll need to make your claim within three months, so act quickly. Broadly speaking, when you are making a claim, your first port of call is to raise your concerns informally with those who are discriminating against you. If that’s not possible or you’re not comfortable doing this, then you should see your HR department. If informal measures don’t work, you should begin a formal route of complaint which will be followed by a mediation process. And, if formal measures do not resolve the issue, you are well within your rights to take the issue to an employment tribunal. But a tribunal should always be the last resort. Gather the facts: before you raise your complaint, you need to show that you have been subject to one or more types of discrimination outlined above. It’s a good idea to note down some examples and review any policies that your workplace has on discrimination. You should also get a note from your GP, and have a think about the outcome you want: an end to the discrimination, an apology, compensation, or a change to workplace policy? You’ll also need to show that others who are in a similar position to you, but who don’t have a mental health issue, have not been subject to this treatment. Be as detailed as possible: it will strengthen your case if you can provide witnesses and give exact dates, times, and circumstances. Retain physical evidence such as emails or memos and try keeping a diary where you can record incidents as soon as possible after they happen. This will help you raise all the incidents that have happened, and if it comes to a tribunal, it will help your lawyer. Raise your concerns informally with those whom you feel are discriminating against you. If you do not feel comfortable talking to your colleagues or line manager, try the HR department. If you are worried about the person you are talking to becoming aggressive, make sure you state clear objective facts as much as you can and avoid criticising the person you are speaking to. Criticism tends to put people on the defensive, making them less likely to listen to your concerns, and more likely to be thinking through their defence or denying everything you say. Ensure you let them know that you are taking the matter seriously and documenting the issues as they arise. This will mean that HR, your colleague, or your boss takes the matter seriously too. If an informal conversation doesn’t provide a resolution, you’ll have to lodge a formal complaint through your company’s grievance procedures, which may involve a mediation process. You should have access to your company handbook, that should tell you all you need to know about your company’s grievance procedure. When you lodge a complaint, you should write to your employer setting out the details of your grievance and you should ask to schedule a formal meeting to discuss the issue. Before you begin with your formal complaint, ensure you have read through the Acas Code of Practice – not following their guidelines could affect the amount of compensation you receive by up to 25% if you do go to an employment tribunal. You have the right to be accompanied when you lodge a formal grievance, and this might be a good idea. You have the legal right to be accompanied by a co-worker or a trade union representative. Depending on your company’s grievance procedure, you may also have the right to be accompanied by a family member or a worker from the Citizens Advice Bureau. Citizens Advice is a good organisation to go to for impartial advice, and it is a good idea to keep a written record of everything discussed. If you have a trade union representative, you should talk to them about moving forward and making a formal complaint. You may also be able to report your employer to the Equality and Human Rights Commission. If you still haven’t reached a satisfactory conclusion, the ‘last resort’ option is an employment tribunal. Typically, you need to make a claim within three months of the problem occurring. Before proceeding, you should definitely seek legal advice, which you can get for free from Citizens Advice, so that’s a good place to start. If you know you’re going ahead; the first step is contacting ACAS to tell them your intention to make a claim. They’ll offer you a free conciliation service, if that doesn’t work you’ll be given a certification to say that the claim couldn’t be settled in conciliation. You’ll use this certificate to make your claim. To make your claim, head to Gov.uk and start their online claim process, or download their claim form and send it by post. Discrimination claims cost around £250 to get started, and the hearing fee is generally around £950. Your employer can be ordered to pay if you are successful, and you may be able to apply for financial help known as ‘legal aid’ from the Government or financial help from your trade union if you have one. Once you’ve made a claim, things will move forward once your workplace has responded to your claim (which normally has to happen within 28 days of them receiving it). If your workplace treats you differently because of mental ill-health, this is discrimination. It’s your right to challenge any discrimination you face, and there are plenty of organisations who can help you get advice and support on how. If you want to find out more about mental health discrimination in the workplace, Mind has a fantastic guide to workplace discrimination that can help you see what cases were justified. This is great for boosting your confidence if you have doubts about discrimination. 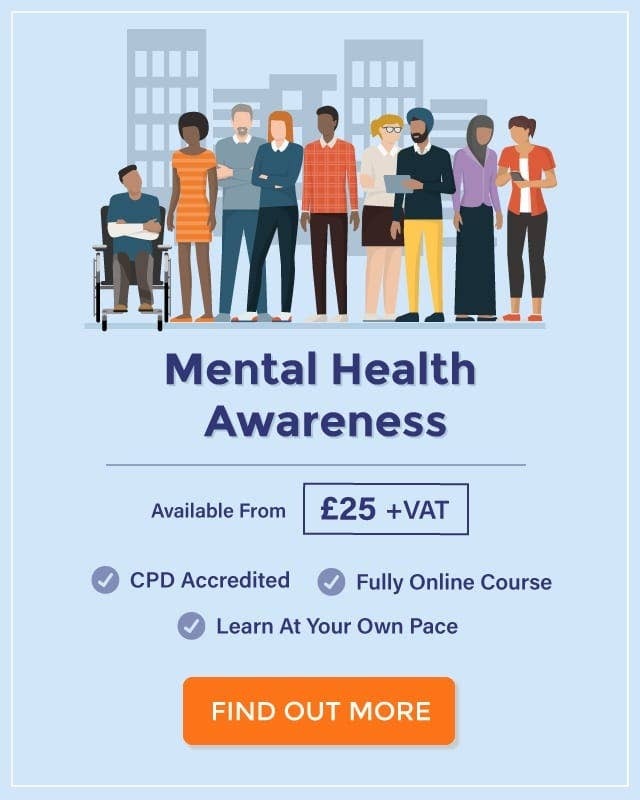 We provide an online Mental Health Awareness course, designed as an introduction to mental illness and mental health issues. 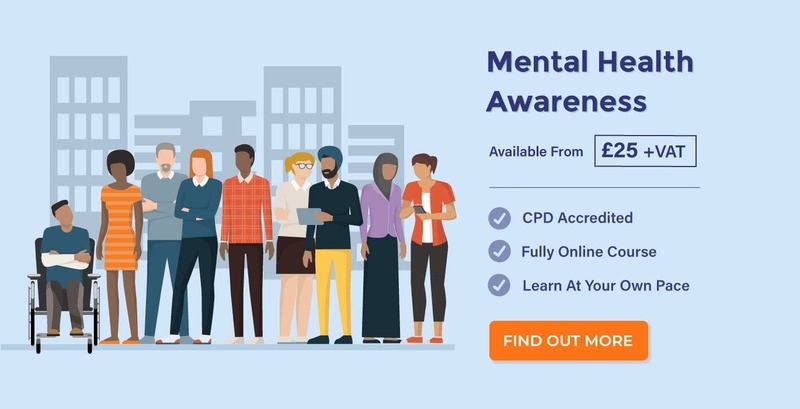 The course provides an overview for those who need to support colleagues at work, such as HR Workers, Managers, Supervisors and Employers who wish to encourage positive mental health in their workplace. For more information, click the banner below.